If you have an interest in health and nutrition, and the ability to communicate with people, an exciting career is open to you in nutrition and dietetics – the science of how the food we eat affects our lives. For the first time in human history, there are more overfed than underfed people in the world. With changing lifestyles and an ageing population, chronic diseases such as obesity, heart disease and diabetes are increasingly common. Nutritionists and dietitians apply their skills and knowledge to work toward the prevention of many diseases and conditions through nutrition education, health promotion and advocacy. Our degree will educate you in the role of nutrition in good health, and the science behind food from the paddock to plate. It's designed to give you in-depth understanding of food and the way the human body uses it. You’ll study in the purpose-built $150 million Griffith Health Centre which, operating in tandem with the 750-bed Gold Coast University Hospital across from our campus, creates a health hub with a dedicated focus on study, employment and research. You’ll learn about food science and therapeutic diet preparation in state of the art facilities, like our large teaching kitchen. 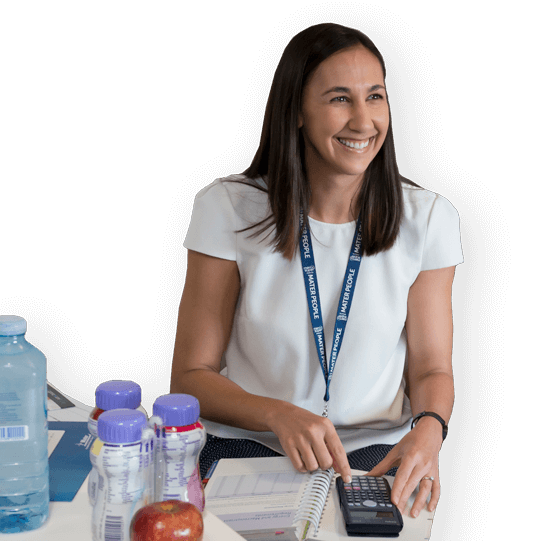 You’ll develop your skills in nutrition assessment and patient counselling with the opportunity to apply them in our dedicated Nutrition and Dietetics Clinic that offers services to the general public. Practical experience is woven into our degree, with clinical placements up to 20 weeks in duration in public and private hospitals, community health organisations, aged care, private practice, population health units and key non-government organisations. Our degree has a national and international reputation for quality and teaching innovation. You’ll learn from supportive, award-winning educators, with plenty of practical experience in nutrition and dietetics. You’ll graduate with the tools to apply the science of human nutrition, and help people understand the relationship between food and health. There's a rising community interest in nutrition and health, and a growing need for specialists in these fields. You'll have the knowledge and skills to contribute to the health of populations and the sustainability of the environment. Your skills will also be transferrable to fields such as public relations, marketing, communications, media, policy development and information technology.